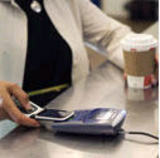 Nokia NFC has launched a mobile payment service into commercial use in China focusing on Beijing, Guangzhou and Xiamen. Nokia's mobile payments service is based on Near Field Communication (NFC), an upgraded payments technology from RFID, which enables mobile phones to capture and transmit e-payment and data downloading services from graphics and IR interfaces. The service is expected to expand the adoption of mobile payments via an OEM installed app allowing consumers to conveniently to use a mobile phone to pay their bus and subway fees, film tickets, food and other "social payments." Zheng Shaodong, director of Nokia's Asian NFC Business Department, says that Nokia has kick-started up the mobile payment value chain with this first ever NFC mobile handset centered payment in current commercial use. According to a Nokia survey on target mobile phone payment users, 56% of the users often use public transport cards and more than 80% of them say that they are interested in integrating the transportation card functions into mobile phone payment. Note, it's happening in China first.